Happy Birthday Angie! Thanks for all the badass feminist wisdom. Few celebrities have leveraged their platform to empower others like her. 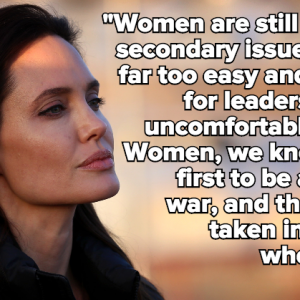 Jolie’s quote about cancer and taking back control of your health was just as on point.